Kombucha is a variety of fermented teas ranging from black teas to green teas. These teas are fermented by using a symbiotic colony of good bacteria and yeast (SCOBY). After being fermented they then are a combination of vinegar, b vitamins, enzymes, probiotics,and an acid combo of ( acetic, gluconic, and lactic). This combination has a numerous amount of health benefits to the body with the most prevalent being a healthy digestive tract. Kombucha is known as the “immortal health elixir” by the Chinese in the far East dating back to about 2,000 years ago. With the combination of the results from fermentation there are many reasons why people have caught on to this craze of drinking this elixir. The main component to give the praise is the array of probiotics which include: Gluconacetobacter, Acetobacter, Lactobacillus, zygosaccharomyces. This bacteria combo helps your digestive system, fights some cancers, strengthens the immune system, boosts energy, detoxifies the body, and many more. I have seen several different flavors of kombucha in grocery stores like kroger, earth fare, whole foods, trader joes, and more. 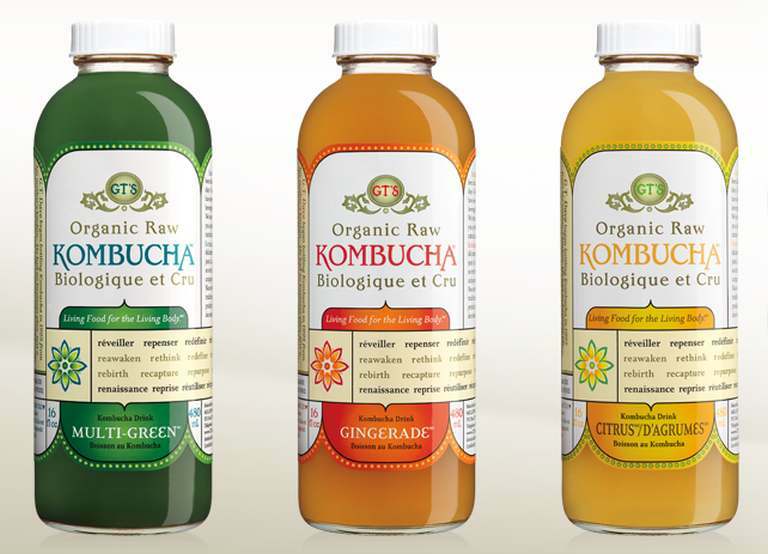 My personal favorite is GT’S Organic Raw Kombucha Gingerade (16 oz. bottle, 6 pk.) . They offer other flavors with use of ginger as well like gingerberry and trilogy ( a mix of lemon, ginger, and raspberry). I have had digestive issues off and on for a while but now that I have been drinking this gingerade kombucha I have seen a huge difference in the way I feel.